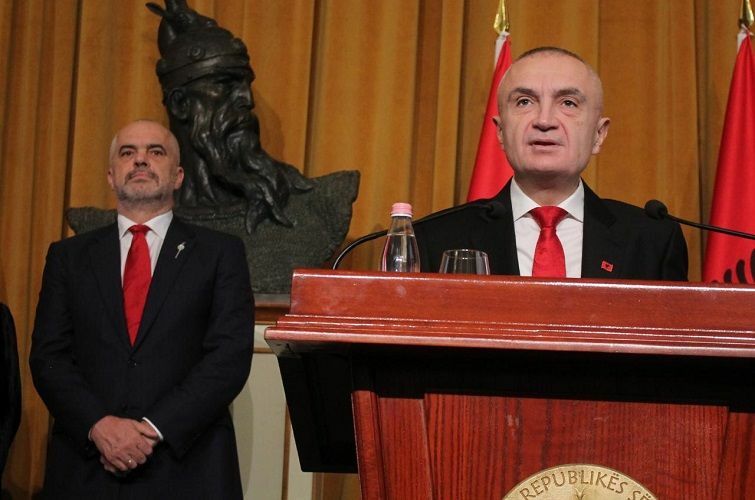 On Saturday, Prime Minister Edi Rama declared that his stand-off with President Ilir Meta, who refused to decree Gent Cakaj as Minister for Europe and Foreign Affairs, will be decided by the Constitutional Court. Don’t wait for me to deal with the guy in the President’s office who took the Constitution hostage, which has been reduced to the backup boots of the Doctor of Sciences [supposedly Ilir Meta’s wife, LSI leader Monika Kryemadhi]. The new Constitutional Court will put an end to this masquerade, while our attention will be completely focused on people, not boots. The Constitutional Court, however, currently only has a single member and will not be functional in the near future. Several media speculate this will only take two months, but the problem is that the Justice Appointments Council (KED) currently has no quorum. Of these 7 members + 3 replacements, only Vitore Tusha, Ardian Dvorani, Medi Bici, Arta Marku, and Fatjona Memçaj have been vetted. The others have not been vetted yet. The dossier of Eriol Roshi was opened on May 15, while Fatri Islamaj’s was opened only recently, only on November 15. The dossiers of Margarita Mahuli, Gurali Braimllari, and Klodiana Veizi Mema have not yet been opened. This means that the KED currently consists of only 4 vetted members, which is one less than the quorum necessary to rank the candidates for the Constitutional Court. Considering the fact that even a KED member from 2017, a “priority candidate” still needs to be vetted, it seems unlikely that a “new” Constitutional Court will solve the conflict between Prime Minister Rama and President Meta anytime soon – and certainly not before the next elections.